Your baby has finally had that first tooth come through, so now what? Baby Dental Cleaning Tips are just what you need to make sure their cute little teeth stay healthy until the adult teeth grow in later in childhood. Many parents don't realize how important oral health is for babies even when they only have a few teeth. 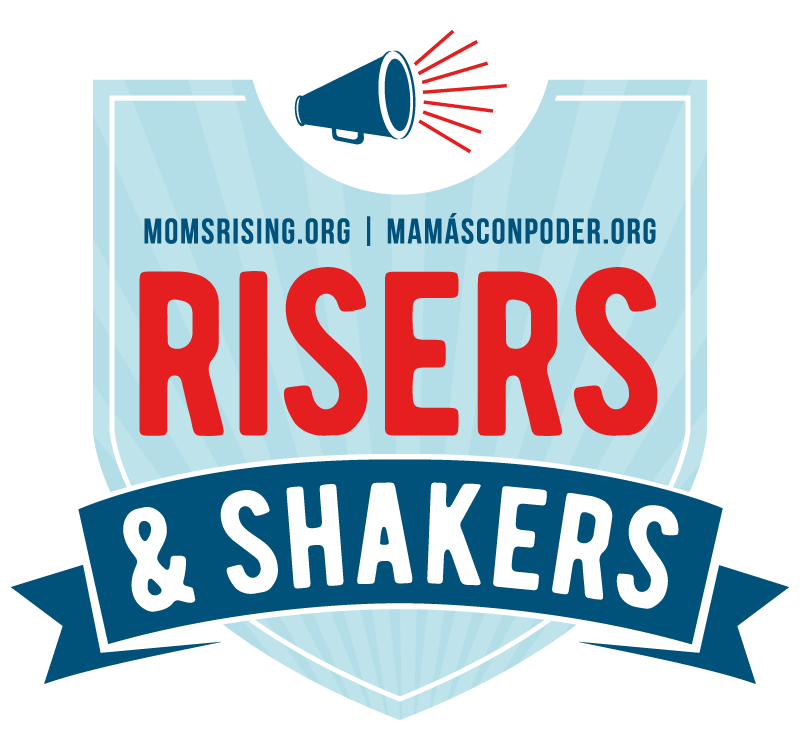 These tips are going to be perfect for guiding you on caring for your kids. Having proper oral health care is essential not just for your dental health, but your general health as well. Gum disease can develop quickly without brushing and flossing daily, which can then turn into a more advanced form of gum disease and lead to tooth loss, infection, and more serious health problems. Oral health for your children begins when they are babies before their first teeth erupt through the gums. Baby dental cleaning tips begin with the gums and teething, not just taking care of the teeth when they erupt. If you want your baby to be healthy, make sure you are practicing good oral hygiene from the very beginning. Here are some essential tips for taking care of his teeth and gums. It is important that you take good care of your babys gums even before their first tooth comes through. Clean the gums at least once a day by wiping them gently with a soft washcloth that is wet or by using a Gum Brush and special paste for cleaning. These are soft and gentle for your baby and their gums. Avoid traditional toothpaste and only use a very small amount once their teeth break through. You should also have some teething toys for your baby when he is teething. Teething rings are plastic toys that are completely safe and made especially for teething. Anything your baby has against his gums while teething can offer him relief. You will find a variety of other toys as well, such as the popular Sophie Giraffe Gentle Teether, which both of my kids LOVED. When your babys teeth start coming in, it is important that you begin taking care of them right away. This includes doing certain things to avoid tooth decay and cavities, as well as brushing their teeth and seeing a dentist. Follow these instructions for keeping your babys teeth healthy. Use only a small amount of baby toothpaste. Just a very small amount of toothpaste made for babies is needed. You can wipe it off the teeth if you used too much, but rinsing isnt needed when using a small amount. Brush twice a day.  Just like you do with your teeth, you want to brush your babys teeth twice a day. Brush in the morning, preferably after the first feeding to get rid of any milk or formula that might lead to cavities, as well as before bed after the final night feeding or during bath time. Be very gentle with brushing.  Since your babys gums are still very sensitive from teething, you want to be extremely gentle with brushing. These little baby teeth do not need rigorous brushing to get clean. In the beginning, your baby isnt even eating solid foods, so there shouldnt be much food debris you are trying to clean off the teeth. Brush the gums and tongue.  If your baby will let you brush his gums and tongue as well. This helps to further get rid of bacteria in his mouth and gives him fresh breath as well. Dont Put Them to Bed With a Bottle. – It is hard to avoid this, but it is worth it to skip the bottle at bedtime so they don't have milk or formula on their teeth for hours without cleaning. If they fall asleep eating, at least use a damp cloth to wipe their teeth off. Visit a dentist early in life. Your children need to get used to seeing a dentist. That means making a visit early on. Most pediatric dentists will begin seeing patients almost as soon as teeth begin to come through. Call your local dentist to find out if they treat babies or if you should wait until your child is a toddler. Even if your baby is too little to start having dental exams, ask if you can bring them in for a tour. My kids were toddlers when they went to the dentist the first time. We started with an appointment to meet staff, see the tools, climb in the chair, etc. so it was less scary at their first check up and cleaning. Regardless, making sure they are being seen by a dentist is a must to make sure their teeth are coming in correctly and healthy. These dental cleaning and care tips for your baby are a must to keep their mouth and gums healthy. Begin early with good dental hygiene to make sure your child has a beautiful smile and few complications. 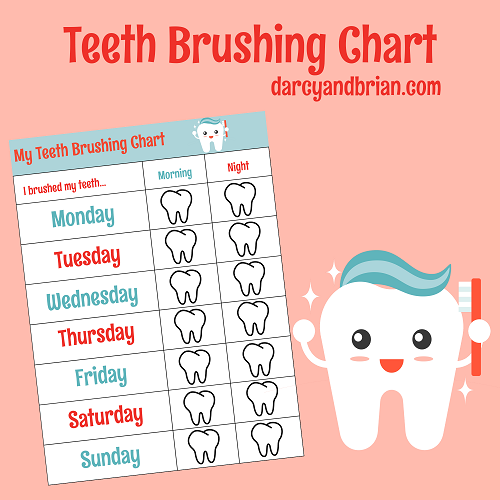 Subscribe to receive your tooth brushing chart, weekly updates by email, and access to our latest printables. My son is 5 months old. Should he be cutting teeth already? These are great tips! My kiddos all love brushing their teeth and I think it is because we started immediately when they started teething as babies. Thanks for sharing your tips with us at Merry Monday this week! It really makes getting ready easier in the morning and at bedtime when they enjoy brushing their teeth!